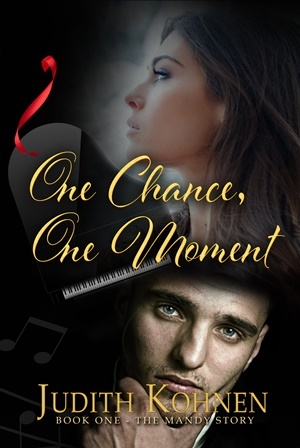 Indie Author Interview with Judith Kohnen - Author of the Contemporary Romance Novel One Chance, One Moment. Judith Kohnen: As a child, I was a dreamer and was always making up scenes in my head – a nightly ritual before sleep. After learning how to play guitar at the age of seven, I began writing songs and poems, particularly in my teens. I kept a journal in adolescence. Married at 17, and three children by the time I was 22, my only education consisted of a GED. After a decade of marriage and children, I wrote five short stories, all within several months, followed by my first novel, which I completed in 8 months. Soon after, I attended nursing school, but joined Virginia Romance Writers so I could stay connected to my love for writing. Volunteering to be VRW’s newsletter editor, I knew it would provide avenues toward bettering my writing skills. For four years I wrote and published a 14-page monthly newsletter and met many like-minded people, a load of authors like Sandra Brown, Catherine Coulter, Cathy Maxwell, Diana Gabaldon, Sherilyn Kenyon and then some. I had contact with a few editors and agents, coordinated the HOLT Medallion contest and the Fool For Love Contest for several years. I still judge for VRW’s contest yearly. I worked alongside a literary agent for a while and evaluated other people’s manuscripts, critiquing and sending out advice. I assisted in the copyediting of one of Katherine Falk’s books (Romantic Times Magazine Editor) and co-authored one of the articles in that book. Thus, most of my writing skills came years after I’d written my first novel, which is actually the same novel I’ve recently published – nearly 30 years and many revisions later. A lot of self-study and getting myself involved in a RWA chapter brought me many opportunities to connect with other writers and editorial professionals. It opened doors for experience and helped me learn how to improve my own writing skills. Not once did I give up on my novel. I spent years helping others to promote and write their books, meanwhile holding on to the ultimate dream of having my own published one day. After taking some advanced screenwriting courses, I was able to condense my lengthy novel. When I received a “highly recommend” & “consider” rating from a Writer’s Digest 2nd Draft Developmental, I moved forward with gusto, “knowing” my story was good enough to be on the market. My hope was to present it to a large publishing house like Random House, but I’d spoken with a marketing expert (Penny C. Sansevieri, AME) who encouraged me to self-publish. So that’s what I did. I had daydreamed bits of scenes in my head for seven years and became motivated after finishing a novel from an author I’d never read before – Danielle Steel – and the title of the book was “Once In A Lifetime.” The year was 1986. It had me wishing that I could inspire, move, and touch others with words like she did, only I wanted to add more fun, adventure and humor in my stories. Judith, please tell us a little about your Contemporary Romance Novel One Chance, One Moment. I remember typing those last words of the first chapter on an old typewriter. I sat there in awe, staring at the final typed words of that lonely first chapter, tears falling down my face. In silence I whispered, “Oh my God, this is destiny.” I will never forget that moment. From then on, the words flowed out of me for the next eight months. This was the very first version of One Chance, One Moment. There have been several versions since. While writing this book, I never knew what was going to happen from one moment to the next. It was like reading a new novel and being anxious to see what adventure would be on the following page. I’d always been the character in my story – in my nightly daydreaming adventures – and I’d always wanted to be a nurse and wasn’t at the time. In my mind’s eye, I was a nurse who wanted to make a difference in another person’s life. But as I began writing, I decided my character needed a new name. “Amanda.” Never knew anyone by that name. I came up with it out of the blue, but I liked it. Once I began writing, the book seemed to have a life of its own. When I’d gotten to chapter twelve, Amanda was suddenly relaying a childhood memory of how she’d always wanted to be called “Mandy” when she was younger. This took me totally by surprise. But of course! Amanda. Mandy. It worked, and thus a novel idea to have my hero call my character by a pet name at some point later in the story. As I went along, I began to realize that the storyline I’d been writing was very much like the lyrics from a Manilow song. It wasn’t a favorite song or anything (my favorite Manilow song has always been “Could It Be Magic” – which is where I think I unconsciously got the name “Melissa” when naming Garry’s sister). Anyway, Garry (originally Gary) wanted to send Amanda away. Whether he would or not, I didn’t know. I hadn’t gotten to that part yet. She was certainly someone who came and gave without taking. She would most probably kiss him and possibly stop him from shaking too. And so my story became what I never imagined it to be. Several months into my manuscript, I was suddenly writing the story behind the song that had skyrocketed Manilow’s career – a musician I totally look up to and respect. I knew the title the moment I finished the first chapter. Garry (the hero) is haunted by his father’s suicide while driving in the pouring rain. “He begged me,” he shouted to himself. “For just one chance, one moment. He pleaded with me. Yet I turned away. I let him drown in his shame.” Even though I never knew what was going to happen from one page to the next, I somehow knew the novel itself would revolve around chances we must sometimes take and sometimes give as well. The story observes various facets of the heart and how we are faced with the one chance and one moment aspects of life. How choices happen, and how we find, lose or choose love. I enjoy anything that has adventure, suspense, fun, humor, drama, fantasy, and love. My favorite romance authors who influenced my writing were Johanna Lindsay, Jude Devereau, Judith McNaught (Whitney My Love – my all-time favorite romance! ), Danielle Steel, Catherine Coulter, Shirlee Busbee, Laurie McBain, Julie Garwood and Kathleen Woodiwiss. In more recent years I’ve enjoyed reading books by Lisa Kleypas, Sue Monk Kidd, Kathryn Stockett, Nicholas Sparks, Khaled Hosseini, James Patterson, Stephanie Meyer, Rick Riordan, and then some. Non-fiction: anything by Wayne Dyer, Marianne Williamson, Deepak Chopra, John Holland, Shakti Gawain, Caroline Myss and others. Of course, there are books on writing and screenwriting. Music has always been a big influence in my life, and I’ve especially been influenced by Manilow, whose own published book “Sweet Life” is one of my favorite reads. In truth though, everyone we meet influences us in some way, shape, fashion, or form. I believe we receive a lot of our inspiration from our own experiences and from those of others. All authors need a specific writing style – one that distinguishes them from other writers. I would like to think that I’ve accomplished that necessity. Writer’s Digest 2nd Draft Developmental Editor said this about my writing style: “… an authenticity, authority, and voice that makes each separate story element come together in such a gripping, professional, marketable way.” That statement had helped me make the decision to self-publish. I’d like to say I get up at 5am every morning, grab a cup of coffee, and motivate myself to write for no less than 6 hours a day. Unfortunately, that’s a fairy tale at my house these days, so I’ll have to give you true confession. Between caring for an elderly mother with Parkinson’s disease and dementia (who lives with me), and heading an Intuitive Development group on Saturdays, a Medium Circle on Thursdays, a Reiki Circle twice a month, and working as an intuitive & medium and providing teaching and healing services at my home studio, and being wife, mother, grandmother, publicist and writer – frankly, most of the time, in order to write, I have to run away from home. I do so, as much as I can, by running off to stay at our Marriott property in Williamsburg (we’re Marriott destination point owners!). I will write for about 20 hours at a time for 2-3 days then. This is where I get the most writing done in bulk. Of course, I can’t run away often, so the plan for most days is to write mornings and not schedule my other professional appointments till afternoon or evening. The self-marketing stuff I have to do with this first book is very time-consuming. Unfortunately, it’s getting in the way of writing my second book. But with determination, dedication and discipline, it will be done! This particular book – One Chance, One Moment – started from a fantasy in my head, a “what if” that developed from there. Music and song is surely an inspiration for me as both my mother and father sang and played instruments while I grew up. Other sources of inspiration have come from poems, newspaper clippings, pointing my finger in a thesaurus (I love Rodale’s The Synonym Finder! A lot of my poetry was created that way). I’ve even been inspired by cards, such as “Inner Outings” by Charlene Geiss & Claudia Jessup. And yep, by Angel/Tarot Cards, too. Probably more than anything, though, inspiration comes from my own life experiences, and the witnessing of others’ experiences too. Do you have a favorite character from One Chance, One Moment? Each character is very special to me, for just like the people we meet in our lives, all of my characters are a part of my life. They’ve been with me for a long time. I see each as unique in their own special way. Mandy is a big part of me – all that I am, and all that I’ve always wished to be. So I suppose she’s my closest character. But I adore Garry, Nicolas, Melissa and Eddie. Mostly inside it, LOL! I usually have to bang on the inner walls of my box and beg for the door to open so I can fly away where imagination can take me away. If I get too frustrated, I just pick up some cards, or my synonym finder, or put on some music, listen to a song, or meditate. If you can cut the chatter from your mind and sit in silence long enough, some answers and inspiration will usually come through. I’ve sat in front of one paragraph for hours and gotten nothing. But hey, I sat there, didn’t move. Persistence. Eventually, the door will open. What was the easiest and hardest part of writing your book? The easiest part of writing was becoming the character. Being inside his/her head, understanding where they were coming from. The hardest part was after the first draft was done. Condensing, revising, rewriting. Showing rather than telling. Cutting a lengthy novel into two books. All of the above took time and patience in learning the skills of editing and re-editing. Reducing words, scenes, cutting chapters, and recognizing just where and how to cut a novel into two stories required the help of advanced screenwriting courses (which trained me to focus on the more important aspects of a story, forcing me to see my full length novel as a 90-110 page script). "the best stories come from deep within us and are of us." Characters. Characters with a dream, and those with purpose. I believe the best stories come from deep within us and are of us. Either our inner child comes out to play and makes all things possible, or we mold our characters and events from our own experiences, or our dreams of wanting to experience. I’ve come to learn that both are equally important. Plot assists with pacing/momentum and gives a story depth and purpose. Characters make the novel what it is. They move us emotionally; they inspire us; and they can heal us. Plot, however, drives us forward … the character and the reader. "I’d encourage every writer to be open to ALL opinions." I deal with criticism to learn as much as I can. Without it, my novel would not be what it is today. It’s something an author has to learn how to do; it takes time and patience. Once you get over the hurt factor, you begin to realize that the words of criticism are actually helpful suggestions to improve the story you have living inside you – the one you love, the one that deserves to be told. It’s quite possible that a wealth of help can be obtained from a critique. Just as important, you have to realize that the critique is just one opinion. You start getting the same comments from several critiquers and it’s a pretty sure bet you need to pay attention. I’d encourage every writer to be open to ALL opinions. Weigh them before throwing them out. Give yourself a day or two, weeks even, and then go back and reread what’s been written. Try the suggestions. See what feels right in your heart. Somehow you get over the hurt, and get down to business. To be an author, you have to. "How important is that book to the author?" Do you think most authors understand the importance of marketing their own work? I think that question needs to be rephrased. The real question should be: Do most authors want to put forth the work and effort it takes to market their book? Now, we can talk about the importance. How important is that book to the author? How much blood, sweat and tears did they put into it and still can say they’re standing tall? If something is important enough to someone, they will find the way to bring about the best possible result they wish for. If things aren’t working, and they sit back and do nothing, they have only themselves to blame. It’s the same as giving up. Giving their power away. Authors need to hold on to their power and try to make every moment their moment. Otherwise, we just take back our gift, and then we all lose. "It takes a lot of creative energy to market a book." What are some of your methods for self-promotion? Connecting with community is imperative, but time-consuming. I’ve been trying to learn something new every day, even if it’s something small, because it means one step closer to being heard and to have that something you value recognized for what it is. It’s not about you at all; it’s about what you can give to others. What you have to offer. It’s the audience that counts. Without them, what good or purpose is accomplished? It takes a lot of creative energy to market a book. A heck of a lot of time. All I know is I try to be a multi-tasker and keep up with Facebook and Twitter, watch videos and read articles to help myself be more knowledgeable of what needs to be done. I enter contests, schedule my book at book fairs, follow-up when I possibly can, update my website, etc. With the help of some wonderful bloggers and marketing experts, I’ve managed to do some things I would never have known on my own. LOL! It’s all in how you look at it. Since I’ve already received 5-Star recognition from IndieReader and rewarded with gold stickers to place on my book’s cover stating it’s “IndieReader Approved” and now, notified that the book has won its first book award – the NABE Pinnacle Book Achievement Award for Best Romance – and I’ve dozens of 5-star reviews on Amazon, Goodreads and Barnes & Noble, and I was invited on CBS TV “Virginia This Morning” show during my first week of publication, and I was called by the producer of VOICE AMERICA because one of the hosts loved my book and wanted me on her radio talk show, which is scheduled for October 13th – all this within a few of months of publishing, I’d say the book is extremely successful! However, there is pretty much NO financial success whatsoever. So, unfortunately, this has not been a money-making venture for me. But I’m abiding my time with patience and hope. The book is worth the read and I have faith that it will be noticed eventually by the reading public. I read about new authors who are bringing in thousands of dollars due to keen marketing, putting their books out there for free for a short period and then selling for $.99 and their books are being bought like crazy, which is how they are reaching the top of the chart. I wasn’t too privy of a good “marketing plan” at the time I published. All I know is most people will click on “free” and $.99 no matter what, even when they know they’ll never have time to read the book. I’ve done it myself loads of times. I personally want my book read. It’s why I wrote it. It holds purpose. I’m okay with going a more honest route to get where I’m going (and receive a more accurate evaluation). Maybe I feel this way, too, because I’m not in this for the money. I’m in this to share a part of me, to contribute to the world for a worthy cause, to ignite my own creative fire so that others can be enlightened, entertained and hopefully obtain some bit of healing from my words. I’m told that it takes 6 months to a year or more to get a book noticed. I’ve invested too much time and effort and purpose into this one book to just throw it out there and let it be bought and sit in someone’s kindle or nook for years to come and never be read. Meanwhile, I’m having fun while getting broke, feeling reward from the recognition I’ve received thus far from all those freebies I’ve given out. My book was in the Beijing Book Fair late August (which I’m awaiting response as to how that went), and is scheduled for five other book fairs in the coming months. Somehow, the book will be noticed. The story is appropriate for ages 17 and up and geared especially for those who love romance and character-driven novels. Filled with emotional drama, comedy, adventure and suspense, it is intended for audiences who appreciate music, who adore characters they can grow with, learn from, root for and love. It’s for those who love children, who suffer from loss, guilt, a disability, who seek hope and happy endings. Babyboomers and music fans of the 70s & 80s would especially relate to the story as it takes place in 1989. “One Chance, One Moment: Book One – The Mandy Story” is available at Amazon.com and Barnesandnoble.com in paperback, kindle, and nook. By mid-September or sooner, it is also being distributed via Ingram Wholesale and can be ordered by any retailer store or library. Presently, a hardback copy can be purchased through Lulu.com. Ingram will be providing hardback by October. "The story has the ability to assist readers with various life struggles [...]"
The story was inspired by a hit song from the 70s for one thing, which gives is a bit of commercial potential. Also, 20% of proceeds are being donated to the Manilow Music Project with hopes to raise awareness of needy schools severely depleted of music programs. I also hope to raise the awareness of natural and holistic healing, which my story introduces, along with an awareness of our innate intuitive abilities. The story has the ability to assist readers with various life struggles and hopefully raise consciousness to higher levels of living. "First and foremost, don’t give up. Believe in your story." First and foremost, don’t give up. Believe in your story. Believe in you. Don’t take criticism personally, but rather as a means to obtain helpful suggestions and insights to make your story the best it can be. As a writer, stay open to what others say, but also, go with your heart. Know that it takes time to acquire writing skills to get things moving without confusion and to involve the necessary plot elements and characterization in order to make your story a powerful one. I highly suggest getting your work critiqued by such services as Writer’s Digest 2nd Draft Services. The wealth of knowledge and help you receive will far outweigh any costs. You want to be a skillful writer, you have to do the work. Also, get involved in a local writing chapter, critique group, meet other writers like yourself. Read, read, read. Make your moments count. I’m presently working on the sequel to my current novel – For The Love Of Mandy. This is from another longer version of One Chance, One Moment. I decided to cut the lengthy version into two books. This sequel involves Garry’s dangerous quest to find his Mandy and holds some of the same humor as in the first book, but with more intrigue & suspense. I’ve also begun a third romance involving Robbie – the eight-year-old wheelchair-bound boy from my other two books, as a grown man. It will be his romance. I’ve also written one chapter of an adventurous young adult novel –a Rick Riordan type. I hope to expand on it when time allows! All of my media connections can be found by going to any of my websites which are linked at www.judithkohnen.com. 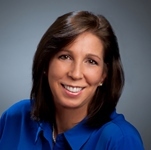 My direct author site is www.author.judithkohnen.com. My blog is at www.intuitivenook.com. The blog is a means to assist new writers – empower them as well as help them become better writers – and also for those interested in developing their intuitive side. Both involve a creative process and complement each other. Comments are welcome and appreciated. Any suggestions, comments and/or requests can be sent to me via email at judith@judithkohnen.com. Thank you very much for the Interview, Judith. Renowned singer/musician Garry Danzlo has decided to live a life of seclusion after a debilitating accident destroys his musical career. Guilt-ridden and stubborn, he wants no part of the holistic nurse his sister has hired to rehabilitate him. He’s determined to get rid of her; she’s determined to stay. Spunky, fun-loving Amanda Fields, widowed after a loveless marriage, is on a mission for love. More than anything in the world, she wants to adopt an eight-year-old, wheelchair-bound boy named Robbie. When her chance arrives that will provide her with sufficient funds for the adoption, there’s nothing to stop her from accomplishing the temporary job in Colorado. But what she has to contend with is far more than just a difficult patient. Unexpected obstacles are suddenly out of her control. The least of her worries is falling for yet another man who doesn’t love her back. One Chance, One Moment has won the Summer 2014 NABE Pinnacle Book Achievement Award for Best Romance.